John Joseph Brill is hitting 2016 running, with a European tour supporting Daughter, and this, the new single release on Killing Moon records. Getintothis’ Paul Fitzgerald climbs aboard for this sonic blast of a night out. 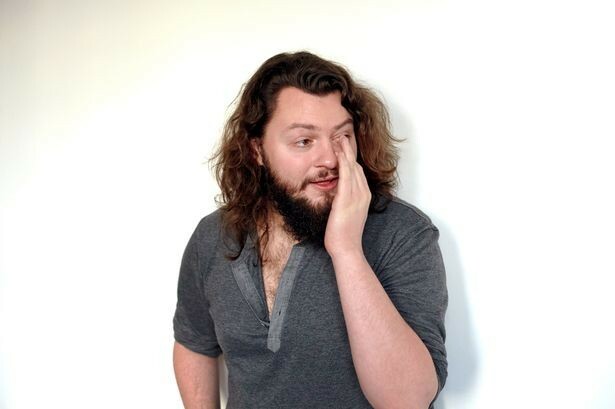 Building on the successes of 2015, which saw John Joseph Brill playing the BBC Introducing stages at Reading and Leeds, high profile support slots with people such as Richard Hawley and the release of his brilliant Pieces EP, this month sees him as tour support for Daughter on their European dates. March sees the release of False Names, his first single through Killing Moon records and the announcement of a gig for Harvest Sun at the ideally suited Scandinavian Church on April 8, a perfect space for Brill to deliver a set of dark and brooding heavy splendour. False Names is huge. Stepping away from the gentle beauty of songs such as Pieces and The Grape And The Grain, it’s Brill, but massively upscaled. Building up from a gentle piano and synth line intro with a rimshot percussion into a stomping behemoth of mashed-up filthy sound. Multi-layered guitars thrash on and around each other, and the droned wall of noise provides the perfect heavy backdrop for the narrative. A tale of lives lived, running wild through the neon-bleached streets of the city, a night out of heavy proportions. John Joseph Brill releases False Names through Killing Moon Records on March 18.